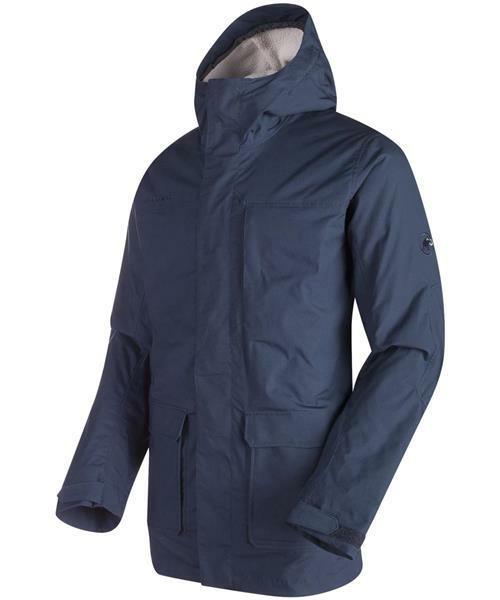 The Trovat Advanced SO Hooded Jacket Men is a very warm hiking jacket that is just as home in the mountains as it is in the city. The jacket’s outer material is Storm Cotton. This material builds on the qualities of natural cotton: it is breathable, stretchy and pleasant against the skin. Thanks to a special treatment, Storm Cotton is also water-repellent and dries very quickly. The Primaloft® Black eco-filling and warm Polartec® teddy fleece provide excellent insulation.